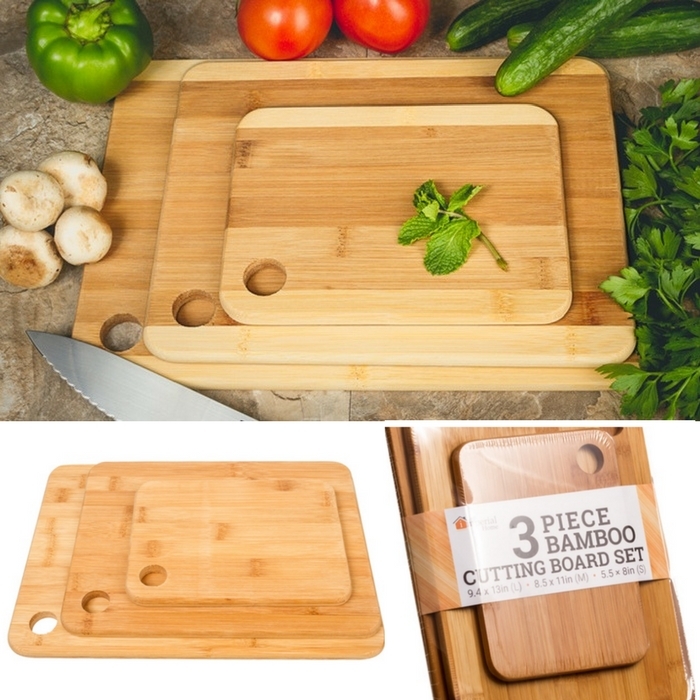 3-Piece Bamboo Cutting Board Set Just $10.99! Down From $50! You are here: Home / Instagram / 3-Piece Bamboo Cutting Board Set Just $10.99! Down From $50! This is a must have for every kitchen! At Groupon, score this 3-Piece Bamboo Cutting Board Set for just $10.99 down from $49.99 PLUS FREE shipping for orders over $35! This set includes three versatile 100% bamboo cutting boards. It has plenty of functional surface area to work on but lightweight, easy to maneuver and store. Made from bamboo, they are durable, long lasting and safe for food prep and will not damage the blade of your knives! This is pretty amazing! Get it before the deal ends!